Don’t miss your opportunity to partake in this incredible self-defense training seminar in Minnesota. No matter your style of Taijiquan, Kung-fu, or other martial art, this teaching program on the Four Skills will prove to be invaluable to your self-defense skills—whether you are a beginner or advanced practitioner. These internal art methods don’t require strength and so are extremely effective for males and females. Restraining is the method for obstructing the blood vesselsof an opponent. Restraining correlates to aspects of Adheringand Warding-Off. of an opponent. Seizing correlates to aspects of Stickingand Rolling-Back. of an opponent. Arresting correlates to aspects of Joiningand Pressing. Closing is the method of shutting off qi centers of an opponent. Closing correlates to aspects of Followingand Pushing. 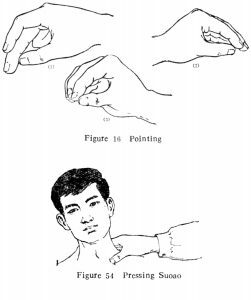 Apart from the short discourse mentioned on the Four Skills in Chen Kung’s work (scroll down to view PDF), little has been published on this subject. The information and methods contained in this seminar are extremely rare and few have even heard of them let alone been taught the training methods and applications. So, if you’re interested in the true internal art methods of self-defense, don’t pass up this incredible opportunity to learn directly from Stuart Alve Olson, longtime protege of the famous Taijiquan master T.T. Liang. Hilton Garden Inn, 6330 Point Chase Rd, Eden Prairie, MN 55344, Phone: (952) 995-9000. Hours: 10 a.m. to noon and 2 to 4 p.m. each day, total of eight hours. Stuart will be teaching the training exercises for each of the Four Skills. These methods are extremely effective for males and females. The methods being taught are of a serious nature so those attending must sign a standard release martial art waiver form. Each seminar will be strictly limited to 12 people so Stuart can give the proper attention to each participant’s individual needs. Fees: $800 per person. $400 registration fee deposit, balance due two weeks before seminar date. Discounted to $700 for those paying in full at time of registration. After March 15, the registration fees will be $900.